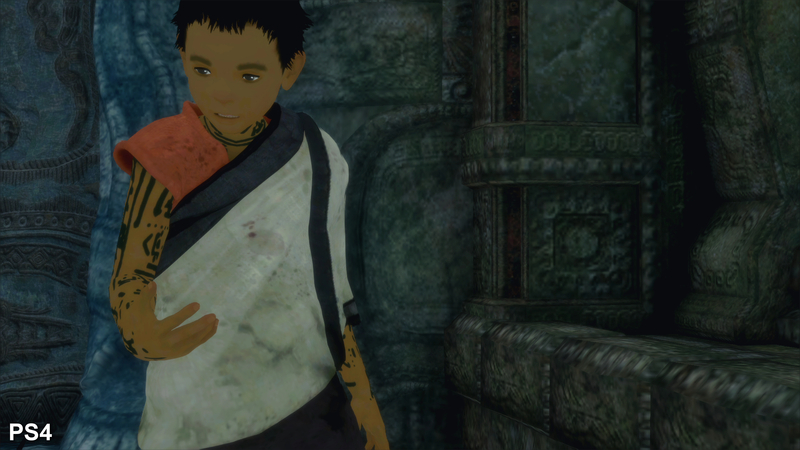 However there are blemishes that show The Last Guardian's history as a PS3-developed title, and in particular, texture resolution is lower than we'd expect of a current-gen game bearing in mind the PS4's vast pool of memory. 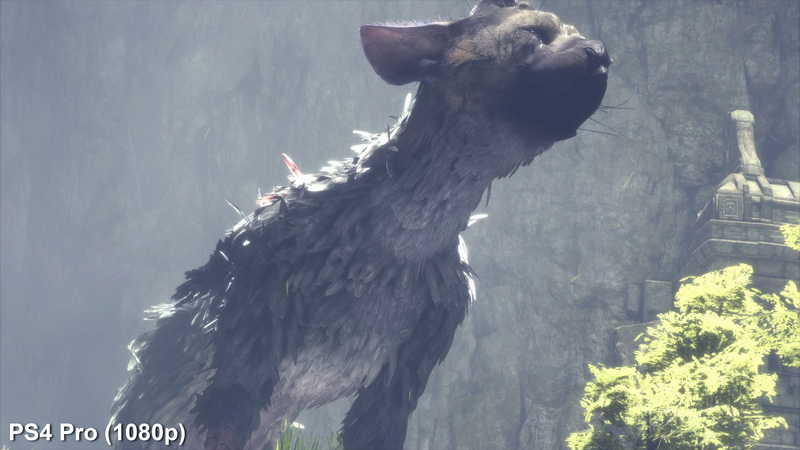 The often thorough post-process anti-aliasing doesn't address all shimmering either, and despite Trico's complex design blending nicely with the environment, foliage elements still flicker as you pan the camera. Even so, the final picture comes together beautifully in The Last Guardian, with strong art direction that keeps each area visually distinct from the last. Trico treat? Here's our complete video analysis of The Last Guardian's various image quality presentations and performance profiles. It's a stunning title regardless of the type of PlayStation 4 you run it on, but the game offers up both frame-rate and image quality enhancements on PS4 Pro - depending on how your display settings are configured. If you boot the game up with 4K selected in the console's front-end settings, The Last Guardian renders all this at a higher resolution. Pixel-counting strongly suggests a 7:8 pixel ratio on both axes, which translates into a 3360x1890 resolution. It's a considerable boost in pixel count over 1080p, and one that scales very well to ultra HD TVs in our experience - especially with HDR enabled. The only shortfall is it still doesn't quite eliminate all visual noise on foliage - but everything else looks pristine on a 4K set. In terms of graphics settings such as effects, textures and lighting, there aren't any distinguishable differences from the regular PS4's output. Barring oddities in texture resolution in a later cage sequence, where PS4 Pro curiously turns up with higher quality assets than the other playthrough, it's fundamentally the same game. Between the two images however, it's PS4 Pro's ability to render at 1890p that offers the biggest enhancement to game. But here's the twist. On PS4 Pro, there's a another rendering option you can access, depending on what resolution you select before the game starts. 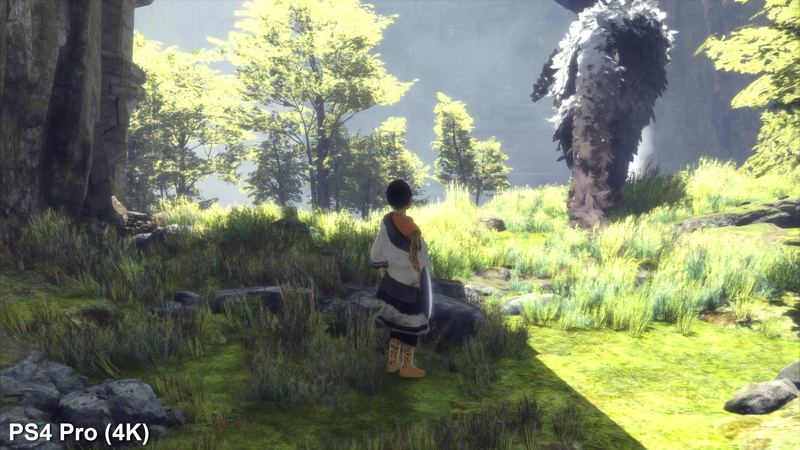 To be clear, The Last Guardian has no in-game settings at all - for resolution or HDR. But by selecting either 1080p or 2160p from PS4 Pro's video settings, you can alter the game's image quality, and crucially the frame-rate as well. 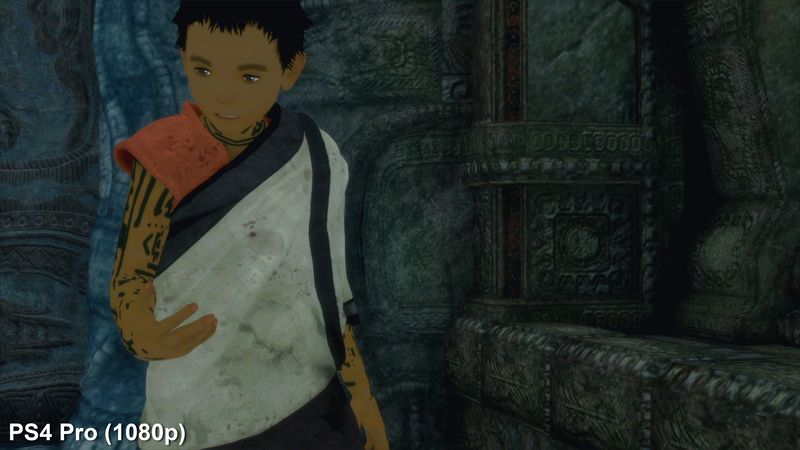 The Last Guardian runs at a native 1080p on the standard PS4. 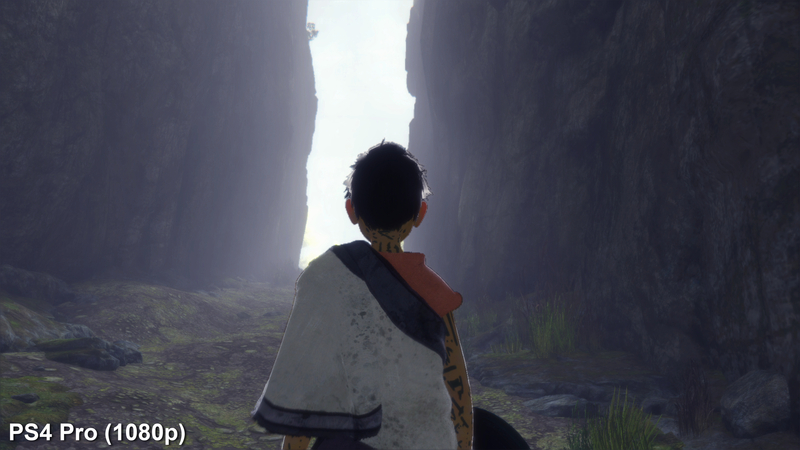 Meanwhile, it receives a resolution boost to circa 1890p on PS4 Pro in its 4K output mode - while running in 1080p mode matches image quality on a standard PS4. 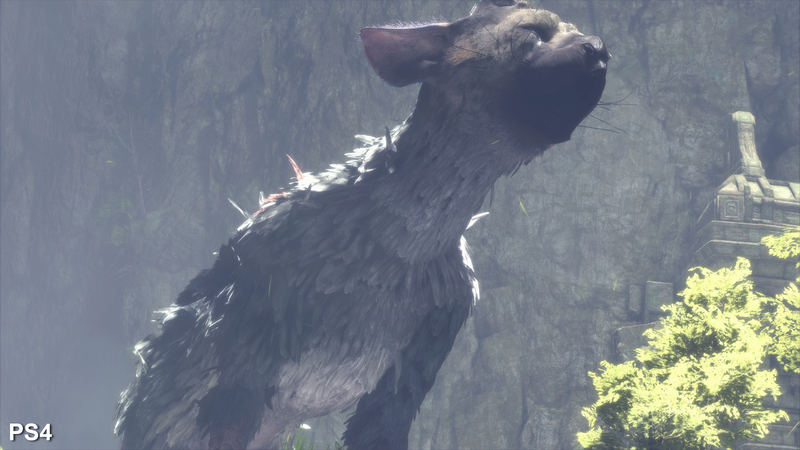 Detail across Trico is a match on both consoles, though PS4 Pro's higher pixel output helps smooth over the character's feathery exterior. Textures are typically matched on all three play-throughs. However in this shot the asset quality varies: be it on PS4, or PS4 Pro at 1080p or 4K, all three turn in different results - with Pro's 1080p coming out on top. It's at odds with most comparison shots, and could potentially be an issue with streaming, occurring regardless of mode selected. The Last Guardians' presentation is bolstered by some incredible lighting. Each material beds into the scene naturally, and the addition of a high dynamic range mode on PS4 and PS4 pro is given a good showcase with high contrast shots like this. 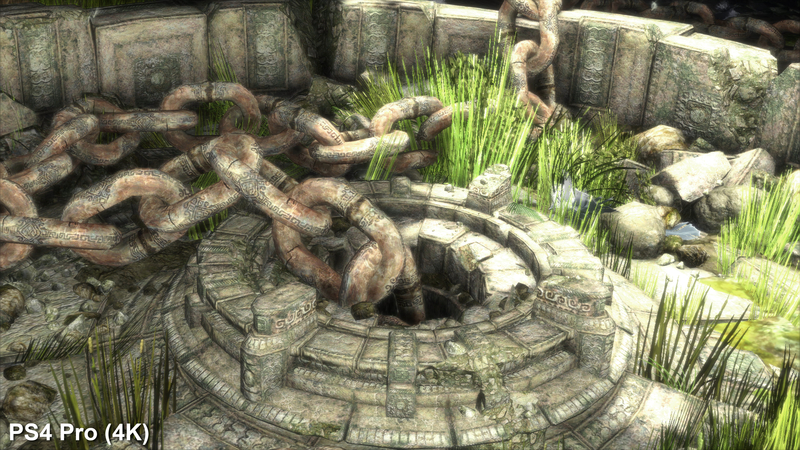 Ambient occlusion circles each tuft of grass, shading points across the ground to add depth. The downside is these elements don't mix well with the game's chosen anti-aliasing, tending to shimmer on panning shots. Put into example, if you select 2160p as the PS4 Pro's output, you get a native 1890p from the game - however performance can struggle in this mode in more taxing scenes. On the other hand, choose the 1080p mode, and you get exactly that when booting the game; a native full HD picture. This second option gives an image that matches a standard PS4 exactly, at this very same resolution. However, the advantage is PS4 Pro reallocates its resources in this 1080p mode by simply making it run at a much smoother frame-rate than is possible otherwise. From a performance perspective, the bottom line is this. The only option available to PlayStation gamers in getting a regularly smooth 30fps is to use PlayStation 4 Pro, running at 1080p. If you're on a regular PS4 you're in for a very variable experience; lurching between 20-30fps just by running around empty areas, and with stutters to over 110ms. All playthroughs have full v-sync, and there are thankfully no frame-pacing issues at 30fps, but sadly playing The Last Guardian on a standard PS4 easily gives the worst performance of all three options. Meanwhile, PS4 Pro owners have a choice to make. Running in that 4K mode is smoother compared to regular hardware overall, but there are still glaring drops. You get a more consistent 30fps in spots, while in others it's almost neck-and-neck with the base PS4 running at 1080p. This being said, PS4 Pro at 4K can actually add frame-rate drops of its own, usually when large bodies of water are involved. One theory is that the water reflections here take a toll on GPU bandwidth more when combined with PS4 Pro's higher native resolution. It's certainly not ideal to have prolonged drops like this - and in other cases too, where there were none on original hardware. But, across the course of play, you'll generally get a smoother frame-rate on PS4 Pro at 4K compared to base PS4 hardware, if only just. Spoilers, obviously. This is the first 25 minutes of The Last Guardian, presented via PS4 Pro's 4K output mode. For those wanting the smoothest experience, with barely any drops from the first two hours of play, you've got to play on PS4 Pro in 1080p. There are some single frame drops down the line, but it's a night-and-day difference compared to the other two options. To be absolutely clear, you must boot the game with this option selected to see any frame-rate gains like this - to force it to run in native 1080p. Switching it midway through will simply not work. Frustratingly, there are no in-game options to allow users to choose between resolution or smoother performance. We've put together a handy guide here for 4K display owners looking to test both options but the end result is a significantly smoother, more consistent presentation. Equally, it's also a shame that Pro users with 1080p screens don't get access to a super-sampled presentation based on the 4K output. 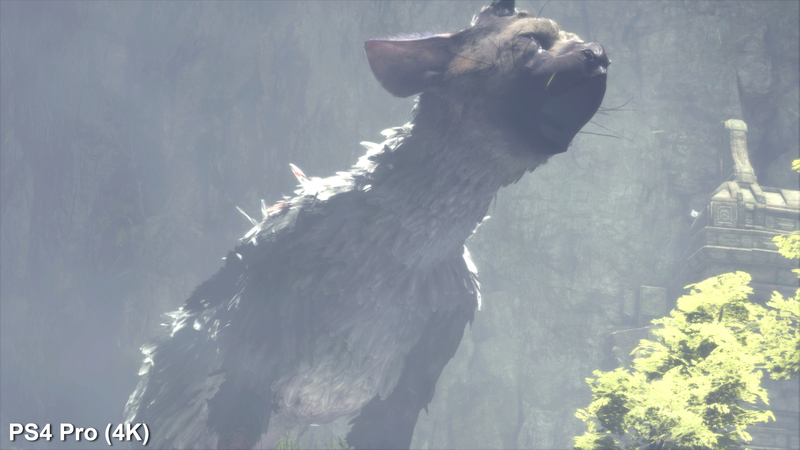 Overall, it's no surprise that the best way to play The Last Guardian is on PlayStation 4 Pro, but it's still a shame the original PS4 struggles as much as it does. 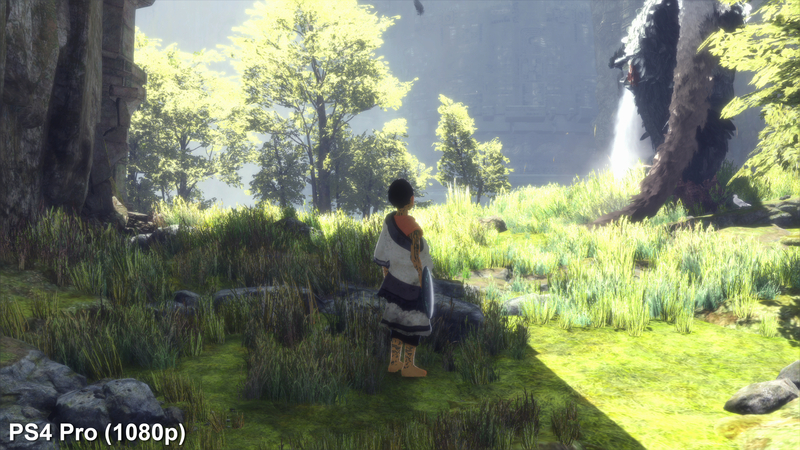 The 20-30fps performance profile is a clear upgrade over the 'cinematic' presentation seen in Shadow of the Colossus, but it's still way off the pace compared to what we've come to expect from a modern PS4 title. After such a protracted development stretch, the conclusion is that PlayStation 4 Pro comes across as the only machine capable of delivering the ideal experience. Whether that's in aid of a solid 30fps, or boosting image quality for 4K displays, its higher specs are seemingly a better fit for the game's ambitions. It often leaves the standard console trailing behind, and from our perspective, we feel that the 1080p30 Pro mode is the best way to experience the game. So, after nine years, the wait is finally over. It speaks to the quality of The Last Guardian's art direction that its visuals hold up so well on current-gen hardware - and there is the sense that the wait has been worth it. This is an experience quite unlike any other, and not even some frustrating camera issues can detract from a beautiful, magical experience.